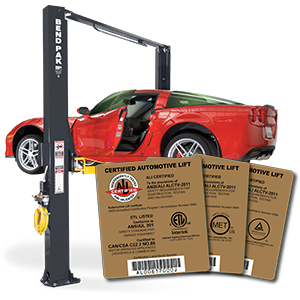 Buying a garage lift is one of the biggest decisions a car owner can make. If you're looking to expand your parking capacity, you don't want something that's difficult to use or will create maintenance issues down the road. For those dedicated enough to their craft, or professionals who need to increase their maintenance and storage options, car lift reviews will help you find the right unit for your needs. But where do you go about finding these reviews? We can help with that. BendPak is reviewed by honest operators across the internet on a daily basis. We recommend avoiding the suppliers until you've settled on a brand. That way, you're not picking a lift out just to find the cheapest one, but really focusing on getting a quality, name brand with a great warranty, all at an affordable price. If you're interested in a BendPak four-post lift, for instance, you probably want to know what people are saying. Go to the Garage Journal forum and type in "car lift reviews." You'll get more search results than you know what to do with. This thread, for instance, is entirely dedicated to BendPak. From there, it's up to you to ask questions and read feedback from people who were once in your shoes. The BendPak community is massive and growing bigger every day, and the people on Garage Journal love one thing almost as much as their cars, garage equipment and presumably their families: helping people make good decisions. Don't feel intimidated—just jump right in and ask around! Note: there are plenty of car forums out there that discuss auto lifts and offer car lift reviews, but we like Garage Journal best because it isn't specific to a single vehicle make or model. Porsche owners should definitely check out Rennlist's reviews, and Corvette lovers need to see the CorvetteForum. Both are just samples of the many reviews and pieces of automotive content available on the forums. 2. Read BendPak's "A Study in Lift Design"
We did some of our own research because there's not much out there to compare lift against lift, spec for spec. So, we took our lifts and studied them side-by-side with the lifts of other brands. The results speak for themselves. Much about the quality and durability of our lifts can be seen through these images. We even include stress tests results from our FEA reports, which is something no other lift company is going to offer. We highly recommend reading this article and navigating through the different sections we provide. These are reviews conducted by BendPak, but we use objective methods, so you get the Truth about the lift(s) you purchase. 3. The ALI says, "Buyer Beware!" CE Mark or Unethical Practice? Patriot Lifts & Equipment Inc.
Qingdao Desiree Automobile Inspection Device Co.